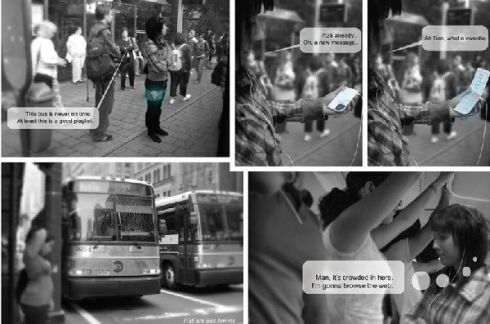 Can you imagine a phone that behaves like a piece of paper? 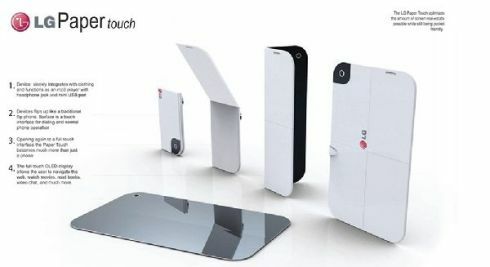 Well, the LG Paper Touch Phone is one such unique handset, that’s able to unfold four times, each time providing different uses. 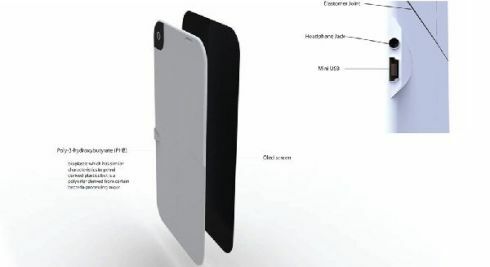 Four-folding is supported and the resulting folds are put together using elastomer joint. 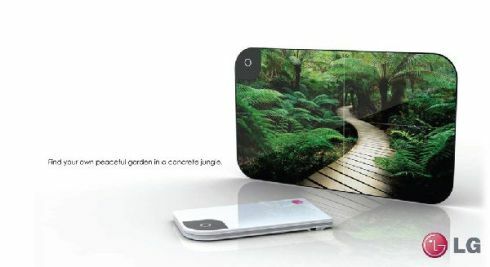 Once the LG concept phone is completely unwrapped, it offers the user the chance to view an OLED display, useful for web browsing, video chatting and e-book reading. 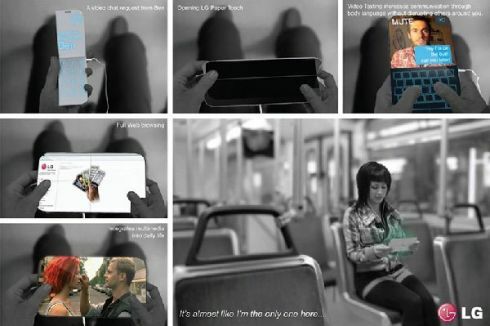 When folded, the gadget is a mere phone, but when completely and totally unfolded it become some sort of a laptop, with multimedia integration. This is not the first time I’ve seen a device that’s both a tablet and a phone, so this trend might generate some real life gadgets soon.